There’s a lot of hype around startup valuations. Landing a large number can be a big win for startups, not to mention the excitement that springs up anytime the news of “unicorns” with billion-dollar valuations arise. Earlier this year, London-based TransferWise announced a funding round of $26 million with a $1.1 billion valuation. What’s most notable about the announcement, though, isn’t the unicorn-level estimate. It’s that rumors of a large projection have been floating around TransferWise since 2014 — and the company wasn’t in a big hurry to quell those reports. TransferWise’s CEO insists he never commented one way or the other on the rumors, according to the aforementioned source, but by not dispelling them, he was able to capitalize on some of the benefits of a high valuation. In all honesty, valuations help with buzz and are actually more than just hype. Most startups are cash-poor, offering alternative compensation packages with stock options and other add-ons specifically targeted toward attracting talent. Using these nontraditional compensation tools requires a valuation, which can have a profound impact on startup tax status because the IRS heavily regulates that area. Stock options also come with special accounting rules, which need to be properly documented for financial statements that are compliant with generally accepted accounting principles. Potential investors or lenders will look into these matters as part of their due diligence prior to making their investments. Median startup valuation financing reached $68 million in the third quarter of 2015, a huge growth from $17 million at the start of 2013. As funding continues to affect startup financial forecasts, having the right and robust valuation is imperative. So how do you up your young company’s worth? Locking down a solid startup valuation can be tricky, but founders can use these three pieces of advice to direct them toward the figure they’re eyeing. It’s estimated that startups today must be five times larger than they were 15 years ago before going public. This means companies need to show significant traction and a consistently increasing customer base in order to grab a great valuation. Though there isn’t a standard formula, startup company valuations are largely dictated by current market forces. Factors like revenue growth, market size, and management experience affect a company’s projected wealth. For earlier-stage companies, gaining a toehold is critical. For later-stage companies, it’s about building on that traction with “hockey stick” growth. 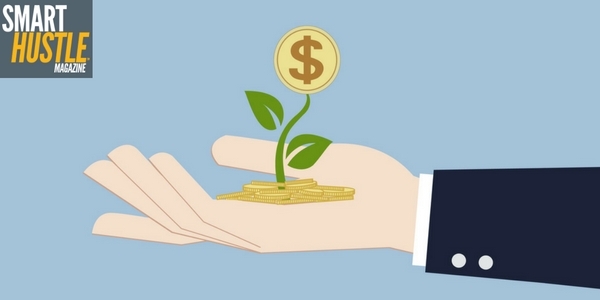 3 ways to make your #startup #valuation go the way you want. Have a plan in place for building and maintaining exponential growth, and decide how an influx of funding can help achieve stated goals. It’s also vital to understand your product or service’s market size, including the competition’s performance in that market. Having that information on hand can level the playing field in your favor should you encounter a small market where the best idea still won’t be the highest valued. Internally, be aware of your stock option pool. Early on, it’s going to be a handy asset for attracting key talent, but it will also affect your valuation figure depending on the size. Some of our recent clients that have gone through fundraising saw a venture capitalist term sheet with somewhere around 15 percent of pre-money valuation. Be prepared to negotiate that down for a stronger valuation. Despite the stories of first-time founders with huge valuations, it’s far more common for leaders with past success to command higher valuations. And it doesn’t just have to be those who exited successfully — founders with experience at Amazon, Apple, Facebook, Google, Microsoft, or Twitter often draw valuations as high as 50 percent more than that of competing companies. Startup valuations are important but don’t get caught up in the race to make it alongside the “unicorns” valued at $1 billion or more. Keep your head down, make sure your company is hitting its milestones, and guide your runway toward that “hockey stick” line of growth that everyone is after. If you’re providing the right value for the right customers, landing a great valuation can serve as another feather in your cap. 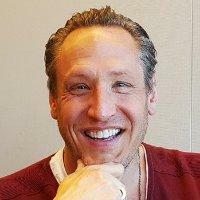 David Ehrenberg is the founder, partner, and CEO of Early Growth Financial Services. He established the company in 2008 to address the lack of on-demand financial support available to startups. His passion for mentoring entrepreneurs and guiding early-stage startups prompted David to construct EGFS’ integrated financial solution, which includes day-to-day accountant support and strategic financial, tax, and valuation support. Read more fundraising advice from David.